Information on alcohol units, UK drink driving laws and drinking while pregnant. Units are a simple way of expressing the quantity of pure alcohol in a drink. 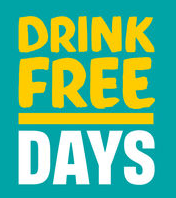 Men and women are advised that it’s safest not to drink more than 14 units a week – these should be spread evenly over a week (maximum 2-3 units a days), with 2-3 days being alcohol free. Drinking in pregnancy can lead to long-term harm to you baby, with the more you drink the greater the risk. If you have drunk small amounts of alcohol and then found out you are pregnant, you should avoid drinking any more. If you are worried about the risk to your baby, please see you midwife or GP. There are strict alcohol limits for drivers, but it’s hard to say how many drinks this equates to as it’s different for each person so it’s safest not to drink any alcohol if you intend to drive. Your stress levels at the time. Driving the morning after you have had a heavy drinking session could be just as dangerous so if you are intending to drink heavily, ensure that you don’t need to drive the next day. For more information about the legal limits of alcohol please follow the link below.